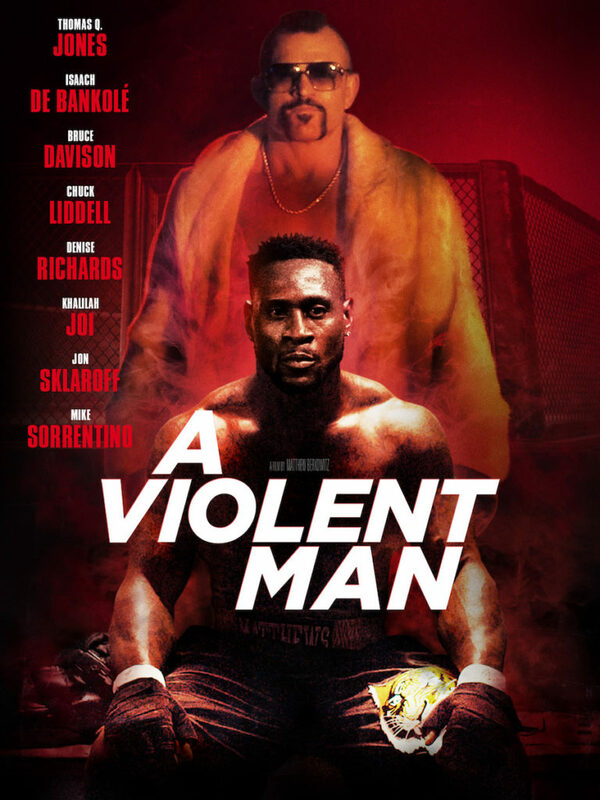 GVN Releasing has released the official poster and trailer for crime thriller A VIOLENT MAN written and directed by Matthew Berkowitz; and starring former NFL RB Pro-Bowler Thomas Q. Jones, UFC Hall of Famer Chuck Liddell, Isaach De Bankolé, Bruce Davison and Denise Richards. A VIOLENT MAN will be released in theaters and on digital platforms February 8, 2019. An unknown MMA fighter, Ty Matthews, beats the undefeated champion at a local gym. Overnight, Ty becomes the underdog champion of the world – with a title fight on the horizon. But when the female reporter covering the story is found dead, Ty becomes the murder-suspect; as he was last seen with her leaving a bar late at night. His only alibi is his girlfriend who is aware of him arriving home late that night. A blackout, a dead body, and incriminating circumstances puts Ty in the middle of a mystery. Like Bogart in “In a Lonely Place” he finds himself under the microscope of a murder, which he doesn’t know if he committed. Uniquely cast with former football star Thomas Q. Jones, UFC hall of fame legend Chuck Liddell, Denise Richards, Bruce Davison and Isaach De Bankolé.